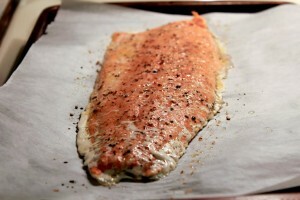 Rinse salmon filet and dry. Lay on a piece of parchment paper on a cookie sheet. Salt and Pepper filet. Optionally, you can sprinkle with dill if you desire. Preheat oven and broil at 400 degrees for 10 minutes. Remove from oven. DO NOT OVERCOOK! To serve, slide the salmon onto a platter. Surround with sliced lemons. Serve next to the diced onions and Capers and Cream Cheese. Your guests can serve themselves! Easy. Drain capers and sprinkle them on top over cream cheese. Now, if you want to have a bit more fun, you can always make cream cheese penguins. This is where the black olives come in. 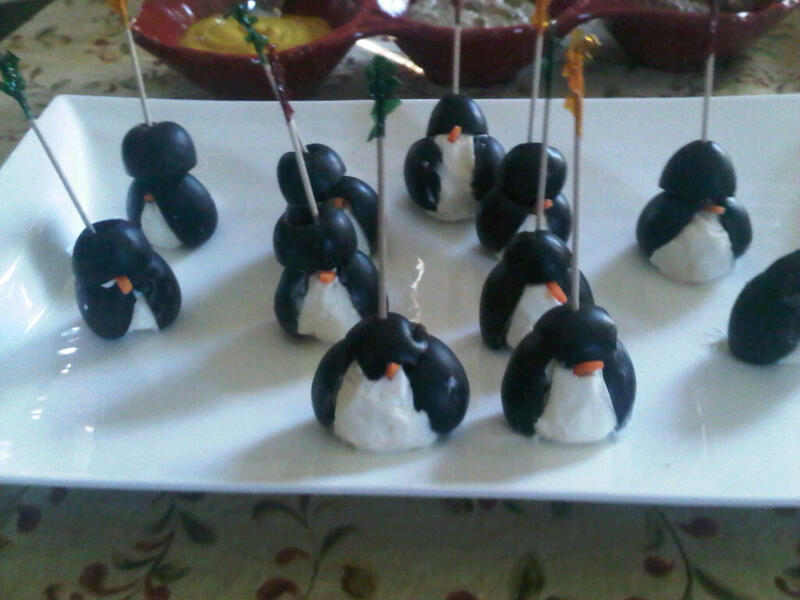 After you roll the cream cheese and capers into small balls, slice the olives and make tuxedos for your penguins. Add a small bit of carrot for the nose. Serve surrounded by finely diced onions. Everyone will smile. Serve with finely diced white onions and Crackers. I like Kebbler Rectangle Crackers, the buttery ones. This is a great appetizer. I have served it for a buffet on Mother’s day. Everyone loves it. This entry was posted in Appetizers, Ocean's Best Seafood and tagged Capers, Cream Cheese, Salmon. Bookmark the permalink.